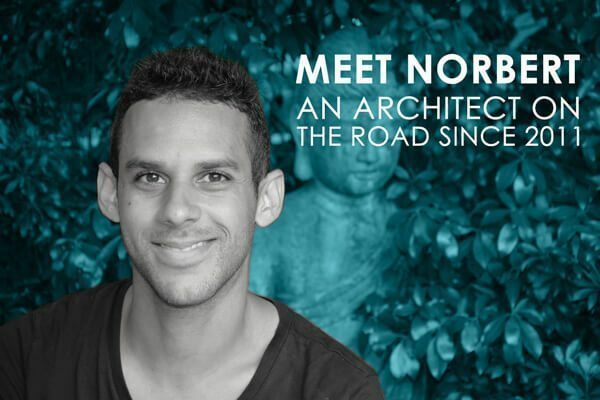 You start your trip, get to your destination, and the first thing you notice is that you don’t have the local currency to pay for a cab, public transportation, or even food. What do you do? Well, get some local currency. Duhh! 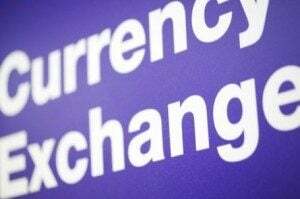 Before you start your trip you should check the current exchange rate for the currency you wish to exchange. You should do this at xe.com. With their converter, you will know the current rates for all currencies in the world and have an idea of how much you should expect when you exchange your money. Please be aware that these rates change every day. The unaware traveler, as soon as he arrives at his destination, will go straight to those “currency exchange” kiosks. But that’s a big no-no. If possible, you shouldn’t exchange money at those kiosks, unless you have no other choice. They usually charge commission and they don’t have a desirable inter-bank rate. When available, you should get the foreign currency from an ATM at your destination. Sure, the bank will charge you a fee (around $5.00 + 1% the amount depending on the bank), but still, that fee is better than the currency exchange kiosks fee because you are getting the inter-bank rate. The trick is to try to withdraw most of the money you know you will use on your trip (and feel comfortable carrying). That way, you will reduce the number of times you will need to use the ATM, thus reducing the money you lose on fees. You should know that ATMs are easily spotted on airports, train stations, and almost everywhere in developed countries. On the other hand, third world countries or developing countries might present a challenge for you when looking for an ATM. You might also find developed countries where your ATM card won’t be compatible with their machines or that their ATMs are not working properly. In these cases, you will need to rely on a currency exchange kiosk, your credit card for cash advance (not recommended due to high interests) or bring your own previously obtained foreign currency. You can also use your credit card to make purchases in foreign currency, but most credit cards will charge you a fee for the “foreign currency purchase”. This usually is really minimal and is way better than exchanging travelers’ checks or cash. It is recommended to use your credit card for large purchases like accommodations, tours, train tickets, airfares, etc. Some credit cards won’t even charge the foreign fee, like Capital One. See how to pick a good travel credit card. 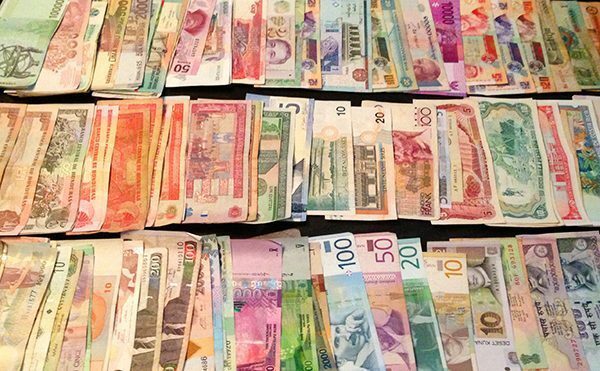 How do you get foreign currency from home? You can purchase foreign currency from your bank or exchange bureau before you start your trip. But this is not too cost effective since they’ll be charging a commission and you won’t get the inter-bank rate. 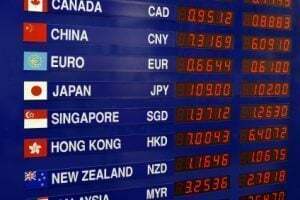 If you are traveling to a less developed country, try to at least have $100 worth of foreign currency so that you are covered for your first day or two until you find an ATM or best exchange option. There are also several companies that will sell you foreign currency before you start your trip. Among these, a popular choice is Travelex.com. Again, they can charge commission and you won’t get the inter-bank rate as you would if you used your ATM. These companies will also buy back your leftover foreign currency, though they only accept bills, not coins; and some have a minimum buy amount (like $50). When you exchange cash at any currency exchange kiosk or company, be sure to read the “buy” rate rather than the “sell” rate. The “buy” rate is what you want when you want to exchange your currency into a foreign currency. (ex. Exchange U.S. dollars for Euros in Europe). Some Exchange companies lure travelers by showing just the “sell” rate. Another way to lure customers is by showing great rates and no commission that are only available when you exchange thousands or hundreds of thousands of dollars. Usually, reputable banks and government-run post offices will be a safe bet if you need to exchange cash. On the other hand, NEVER change on any black market exchange place, they can scam you or give you counterfeit money. Now, what should you do with your leftover currency once you finish your trip? If you really want the money back on its original currency then you can exchange it back at any currency exchange place. Note that you will be charged again for the exchange as explained above. 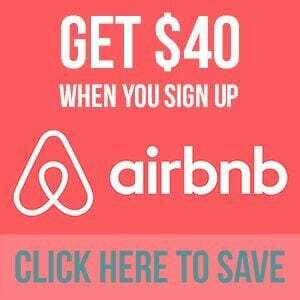 You can also splurge it on your last night stay, a nice dinner, shopping, or anything you could come up with during those last hours of your trip. You can save some small amount for novelty or you can even donate you leftover currency to local charities. Some airports and train stations have charity bins to relieve travelers from their “useless” change. This way you can make a positive contribution to local charities. What if you don’t need to exchange? Certain countries like Belize, Barbados, many Caribbean islands, The Bahamas, among others, are greatly related to the U.S. currency. They usually have a fixed rate between the U.S. Dollar and their currency, so it’s easy to pay with U.S. Dollars instead of their local currency. Any place that has a fixed rate of their local currency with your own currency, will definitely make paying with your own currency the best option. But if the country you are traveling to doesn’t have a fixed rate, even when they accept your own currency, you should calculate if their offered rate is beneficial for you. You will see that in many cases in wont be. It is recommended to carry a small calculator to check if the rates are good for you or not.